These are my favorite tools and resources for podcasting. I currently use or have previously used all the tools listed here and highly recommend them. I broke them up into sections so you can easily find everything: podcasting resources, website resources, and graphics & video resources – but most podcasters will need all of the above at some point. You need to have your podcast hosted with a company that specializes in podcast hosting. My top 3 recommendations are below, although you can also take the Podcast Hosting Quiz to figure out which one is best for you. Buzzsprout cares about design and simplicity and has a great team. 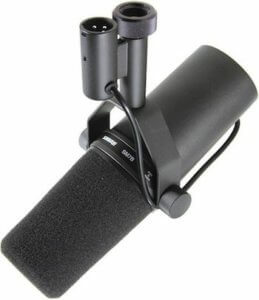 Definitely the best podcast host for most people (and what I use after trying many of them). Get a free $20 giftcard to Amazon when you pay for your plan. Transistor lets you host as many different shows as you want for one price – and starts at $19/month. If you are a brand or small business, this should be a great fit. They have excellent analytics and a great built-in website. Try them out for 14 days free. Simplecast recently updated their entire platform with a bunch of new features and a brand new UI. They have excellent team and podcast network features, detailed analytics, and simple distribution to the places where people listen. You can get 50% off your first 2 months when you use the promo code INSIGHTS as well! We have a lot of information on podcasting gear, so we’ll just highlight a few of our favorites in this section. This section contains software for various uses around podcasting: recording and editing, recording calls, creating intros, transcribing shows, and more. Audacity is a free cross-platform (Windows, Mac, Linux) audio editing program. Perfect to get started with. Adobe Auditon is part of the Adobe Creative Cloud Suite, but you can also get it separately. It has some really useful and powerful features that can save you a lot of time when editing. Auphonic automatically masters your audio files, adds ID3 tags, and sends it to your podcast host all in one step. You can create presets with your desired settings so that it only takes a minute to update your episode details. Highly recommended. 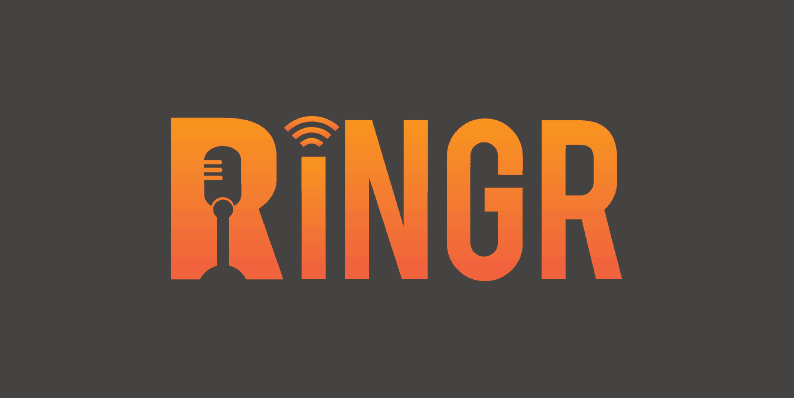 If you want to avoid quality issues when trying to record remote interviews, then Ringr will be your best friend. There’s a bit of a cost, although not having to redo an interview is priceless. You do get a discount by following this link though! Call Recorder for Skype from Ecamm is the easiest way to record your Skype calls and interviews. Mac only. Music Radio Creative is the easiest way to get professional intros, outros, jingles, ads, and anything else you need. Pricing starts at $20 and you simply type your script, choose a voice actor, and pay. Check out the podcast section here. Scribie is a transcription service that charges $0.75 / minute – but you can pay a little more to get faster turnaround time if you’d like. They also have options for English, American, and Australian dialects. Power-Up Podcasting by Pat Flynn is a complete, step-by-step podcast training course designed to help you create and successfully launch a podcast. Pat Flynn runs Smart Passive Income and has a hugely popular podcast, blog, and more. Podcasters’ Paradise is an online community and educational resource for all things podcasting. You’ll learn how to start, grow, and monetize your podcast – and be able to connect with thousands of other fellow podcasters. Learn more and sign up for a free live training (every other week). I personally like to purchase my domain names from a dedicated domain seller (vs getting one free with hosting) because you have more control and it helps prevent a “single point of failure”. Namecheap offers free Whois privacy when you purchase a domain name. They have great prices and service. Name.com costs a little more than Namecheap, but they’re based in Colorado (that’s where I live) and I like to support local companies. 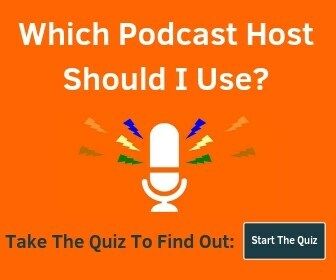 I recommend hosting your website separately even though most podcast hosts offer a basic website with their service. 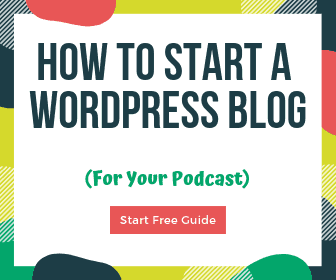 You can learn how to start a WordPress blog here. Bluehost is a popular web hosting company that makes it extremely easy to get started. They have great pricing for beginners and you get a free domain name when you sign up for a hosting plan. Kinsta is the WordPress host we use. They recently added entry-level plans that include a free CDN, making it an excellent value for any size site. They are one of the fastest managed WordPress hosts out there and have amazing support. You can easily move your site to a staging server to mess with before pushing it live. Read our detailed Kinsta review for more info. If want a popular podcast, get your site hosted on Kinsta. Check out our post dedicated to podcasting WordPress themes or take a look at a few suggestions below. StudioPress has a ton of high-quality themes to choose from. They’re all mobile-responsive, fast, secure, and easy to customize with detailed setup instructions. They have a nice selection of e-commerce themes that are designed to be used with WooCommerce as well. You not only get the impressive Divi Builder, but email opt-in and social sharing plugins as well, plus all their pre-designed themes for either an annual or lifetime price. If you want to keep things simple, this is definitely the way to go! Plus I think it’s kind of fun to use. Elementor is a highly regarded WordPress theme and page builder. What’s cool about it is that you can design in the front end (WYSIWYG-style) and it’s free to get started. Check out all of the features here. They clearly label what’s available in the free vs pro version. For only $49/year you can get access to all the pro features and pre-designed themes that will save you a ton of time and let you create anything you can think up. Email is the best way to connect with your audience and let them know about new episodes. You can also use it let people know about products and services you offer and special promotions. 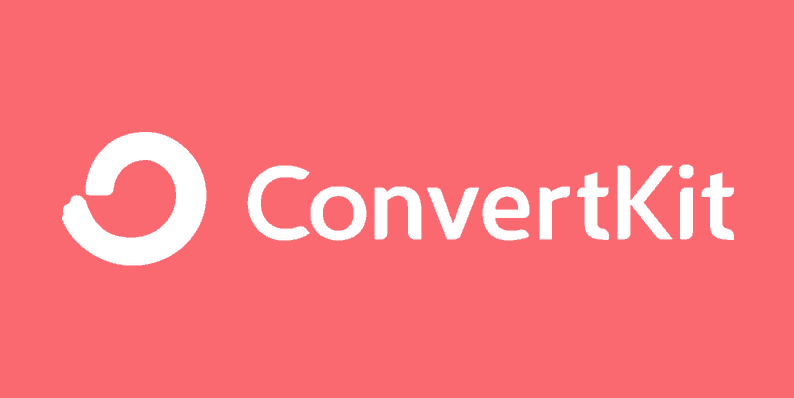 What makes ConvertKit so great is that you can easily segment your audience based on where they opt in, what they click in your emails, or any other way you want. That way you can send relevant emails only to people who are interested, which means you get better engagement. They also include opt-in forms and a WordPress plugin. Pricing starts at $29/month for under 1,000 subscribers, but you get unlimited everything else: email sequences, sends, forms, etc. Check it out! AWeber has a ton of automation features and resources for podcasters. They include a bunch of free stock photos you can use, hundreds of templates to make your emails look great, and more. Pricing starts at $19/month. Grab a free 30-day trial here. OptinMonster isn’t an email service provider. You use it to collect email addresses on your website and it connects to your email service provider (like the 2 above). I’ve tried a bunch of different opt-in services and these guys are the best by far. Want to see how it works? Click here. Social Warfare is the best social sharing plugin for WordPress. I’ve tried a few others but the features included with Social Warfare really set them apart. Plus it loads extremely fast and doesn’t slow down your site like many of their competitors. Buffer is a social scheduling and sharing tool that allows you to connect multiple accounts. They have a great Chrome extension as well as apps for iOS and Android to make adding new content to your social queue really easy. These WordPress plugins don’t really fit into the other categories, but they are all very useful. WPForms lets you create awesome forms on your site. There are a few other companies that do this too, but this team is great and it’s really easy to use. MonsterInsights makes it really easy to install Google Analytics on your site. You don’t need to use MonsterInsights but if you’re less tech-savvy or want an easy way to enable advanced functionality, this is the way to do it. Security is extremely important these days and when you install WordFence you’ll be able to see how often people are trying to hack into your site (usually with the intent to insert spam). The free version is great and will absolutely help keep unauthorized users out, but the paid version offers additional protection that is updated in real-time. Pretty Links lets you create short links that will redirect to longer URLs. A common use is to create a short link for your podcast episode number that redirects to your actual URL. For example, yourpodcastsite.com/1 will go to yourpodcastsite.com/welcome-to-episode-one. They’re also great for affiliate links and anything else you want to make easy to remember. Everyone needs to install this plugin. Get Yoast SEO here. The free version is fine for most people unless you just feel like supporting them. ShortPixel is an image compression plugin that you can install and forget about. Image compression is important to make your site faster and this will make a huge difference. If you already have a site just purchase a one-time package (it never expires and will work on any number of websites) and bulk compress your images. Having a podcast doesn’t mean you get to avoid image and video creation. You’ll need podcast cover art, social media graphics, and featured images for your podcast episodes at the very least. If you interview guests, it’s helpful to send them pre-created graphics that are easy to share so you can expand your reach. The easier it is to share, the more likely they will! Podcast Memes is an awesome company that will save you a ton of time. They create branded shareable videos and images for every episode. You’ll get at least 7 videos and images every week (assuming weekly episodes) – and they also have other plans that include even more! Pricing is very reasonable and starts at $52/week. I recommend checking out their site to learn more. Wavve is an excellent tool that turns your podcast audio into shareable video clips. This makes it easy to tease episodes and is a great way to draw attention to your post in those crowded social media feeds. Stencil really excels at sharing images on social and can connect to Buffer as well. When you get a paid plan you get access to their library of over a million photos to use freely. Canva lets you easily create graphics for social media, your website, and anything else. They have a bunch of pre-set templates that are great starting points. There are a bunch of different stock photography sites, but I love Adobe Stock, check it out! 99Designs is a crowdsourced design contest-style site where multiple designers compete to earn your job. You’ll get great quality stuff at a reasonable price. If you need to record your screen, Screenflow is awesome and really easy to use and learn. Mac only.